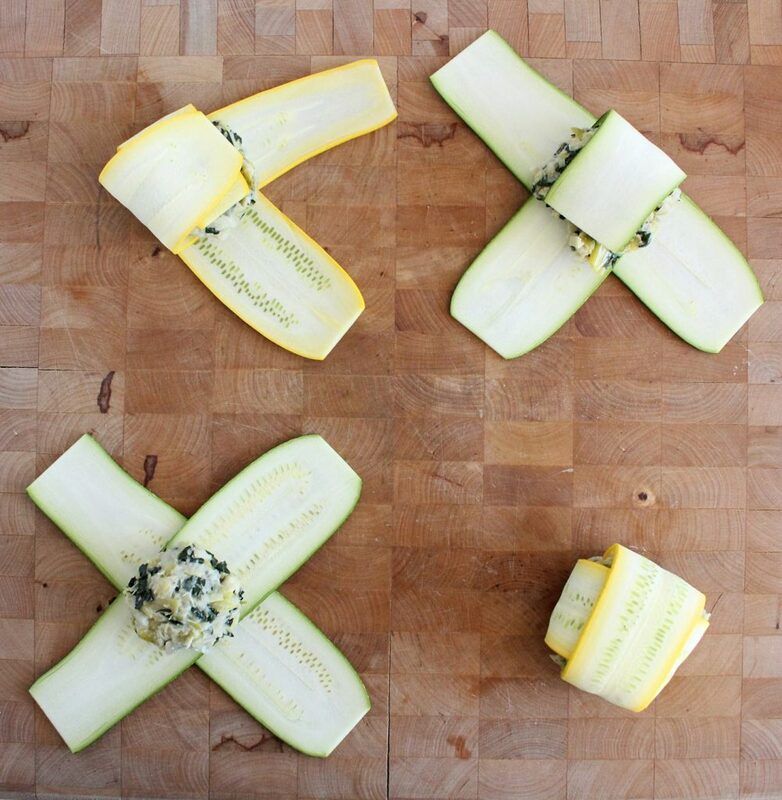 This may be nothing new to you, Zoodles/Courgetti took over the green parts of the interwebs years ago (I have even heard of some people spotting pre-made ones in grocery stores, oceans away from my bike path). But have you ever made them into ravioli? It’s easier than making real ravioli and generally far easier than you’d expect. 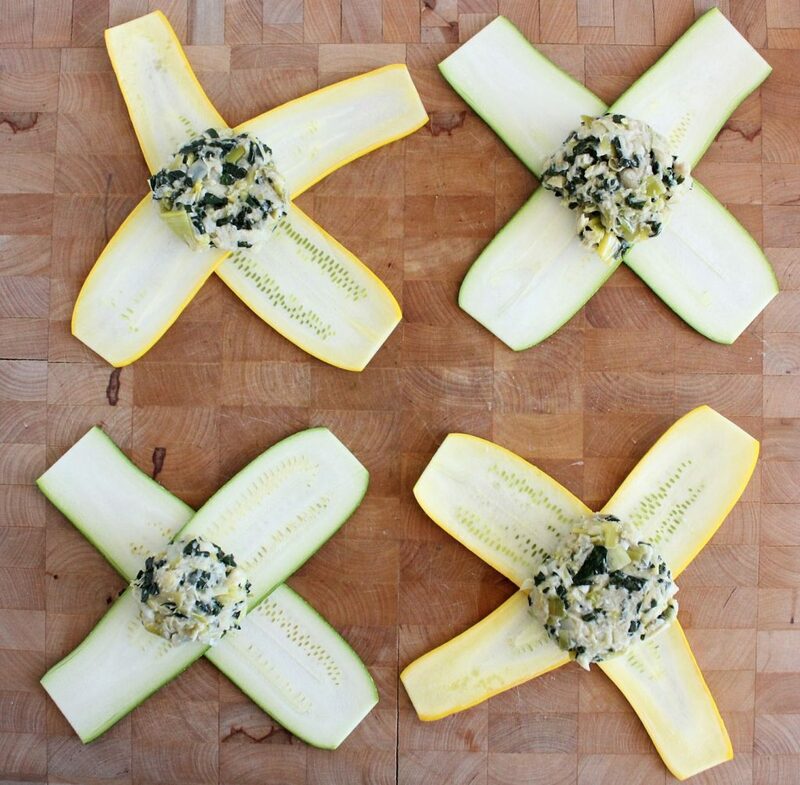 You just need thin slices of (non-car-sized) zucchini. This is managed with the help of a mandolin slicer, a ‘Y’ peeler or ninja knife skills (I use a mandolin). 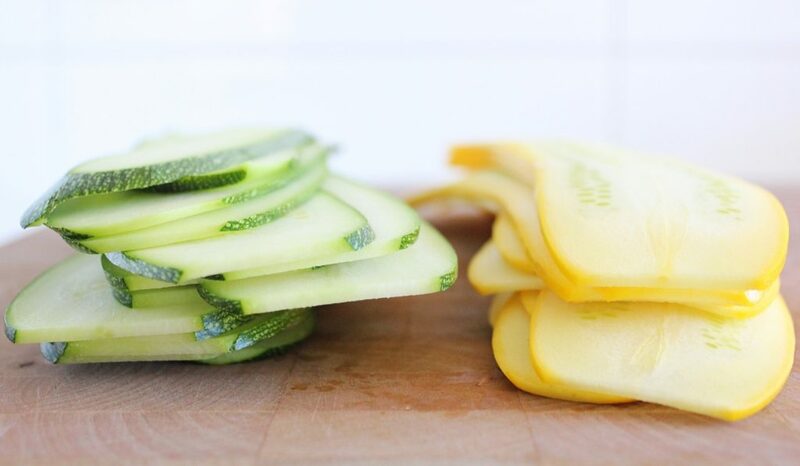 The slices should be thin enough that they bend instead of break when they’re folded. A tip to get them to further soften without cooking them is to sprinkle a little bit of salt on them and gently rub it in with your fingers. This will also draw out some excess moisture. 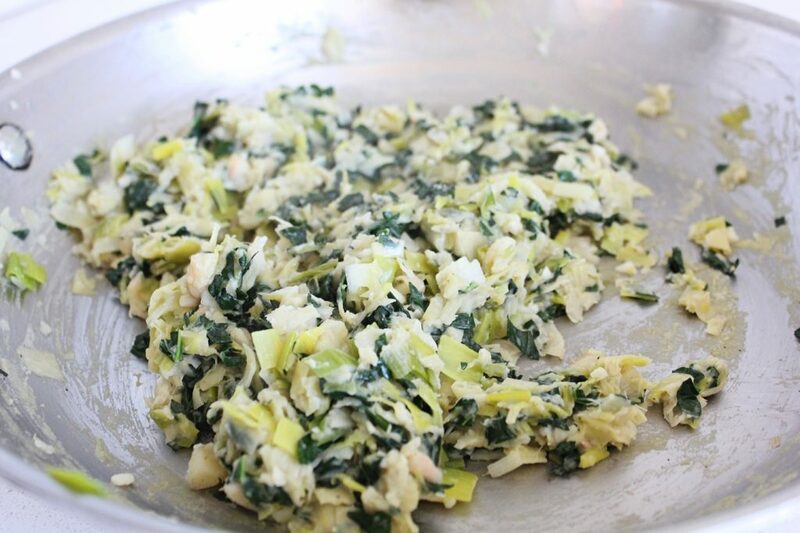 The two main things that you are looking for with the filling is that it tastes good (this is sort of obvious, but make sure it is seasoned properly and it tastes delicious on its own before wrap time. 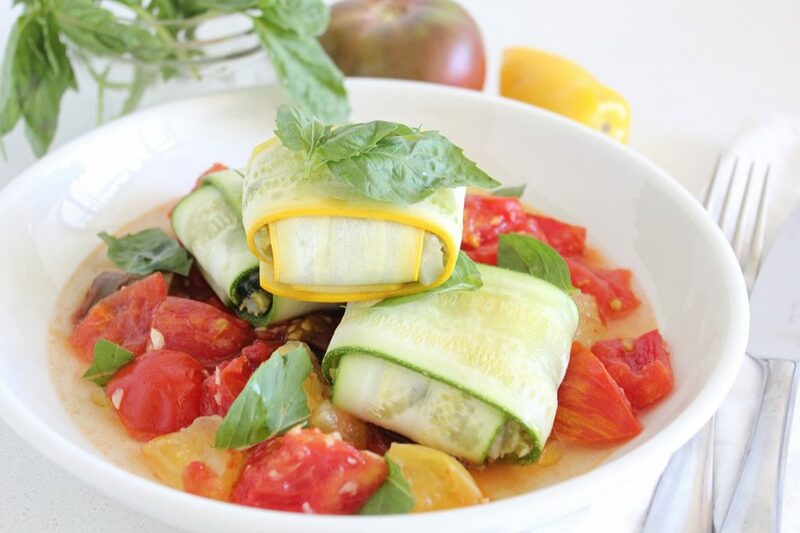 Zucchini rules but it doesn’t add much flavour). 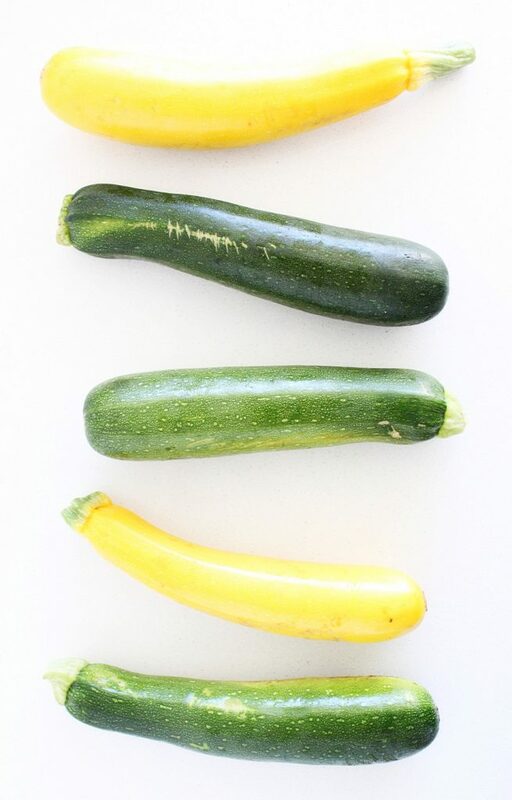 Also, keep your eye on the texture –not too wet, you don’t want it to leak out of the zucchini corners, and not too dry because it needs to taste like food you want to eat. Both extremes can be easily fixed by adding a bit more water, or by turning the heat back on low, and cooking some of the excess water out. The filling we created tastes awesome. So good in fact, that it could be its own dip/spread/face-plant all on its own. It is made with artichokes hearts from a jar, (although fresh would be everything that is good in the world, I couldn’t teach you lazy pasta and then bring in the most high maintenance veg of all time). Beans too (fiber, creaminess, protein), kale (cruciferous, fiber, freshness), garlic (the really sticky local kind, major cancer-fighting punch and so, so good), leeks (because anything gentle, savoury and smooth benefits from some leek, also an allium superstar), lemon juice and zest (brings the beige back to life, vitamin c) and fresh extra virgin olive oil (healthy fat that gives us the best Italian feels). And then there’s the tomato sauce. 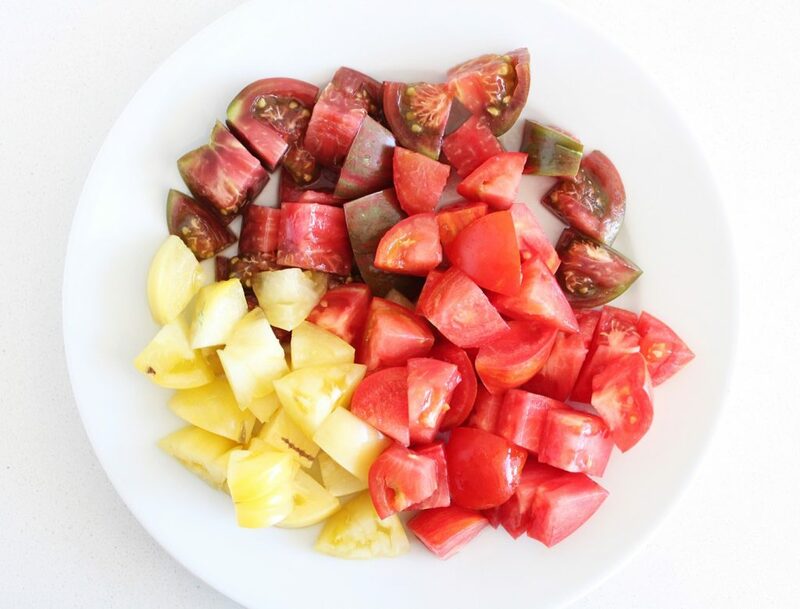 I hesitate to even call it sauce, but ‘slightly transformed because they’re already perfect on their own heirloom tomatoes’ doesn’t have the same ring. We gently sauté some garlic, add the diced perfectly delicious tomatoes and warm them through. We give them some fresh basil and a glug of olive oil and then it’s over, and it’s time to eat. The sauce is a magical combo of brothy and fresh tomato-y-ness, and the ravioli are rich and sweet and hearty, with a barely noticeable pasta-like exterior. Together they will keep that layer of dust on your pasta maker at least until the end of August. 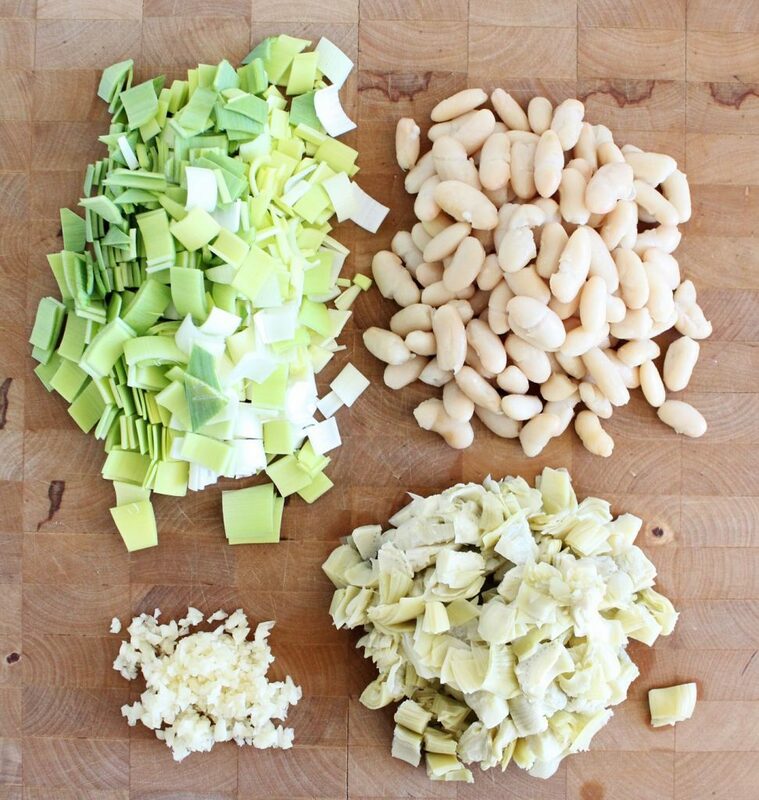 In a pan, in the coconut oil and a splash of water, sweat the leek and garlic until soft.Add the chili if using. 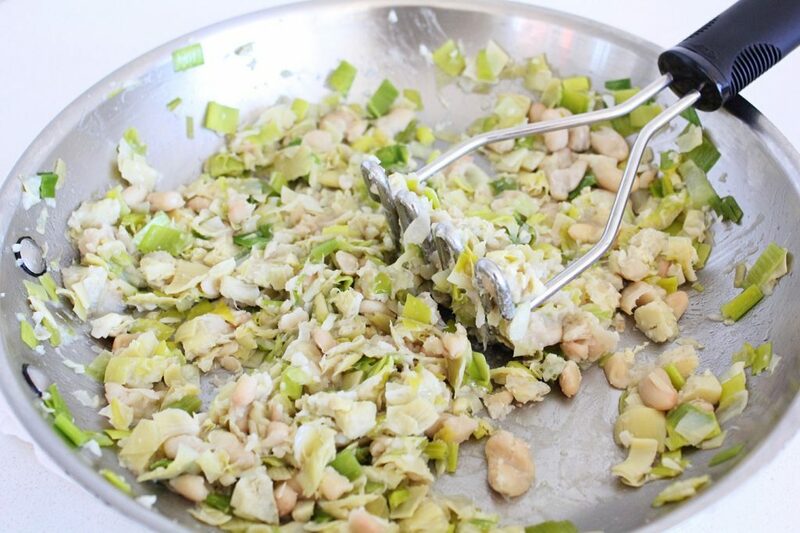 Add the beans and artichoke, another splash of water, and on low heat, stir until the water has mostly evaporated (this brings the flavours together, and further softens the ingredients). Turn the heat off and with a potato masher (or fork or back of a wooden spoon) mash up the mixture until it is a chunky but cohesive mixture. If still a bit runny, turn the heat back on low and lightly stir until the water evaporates. 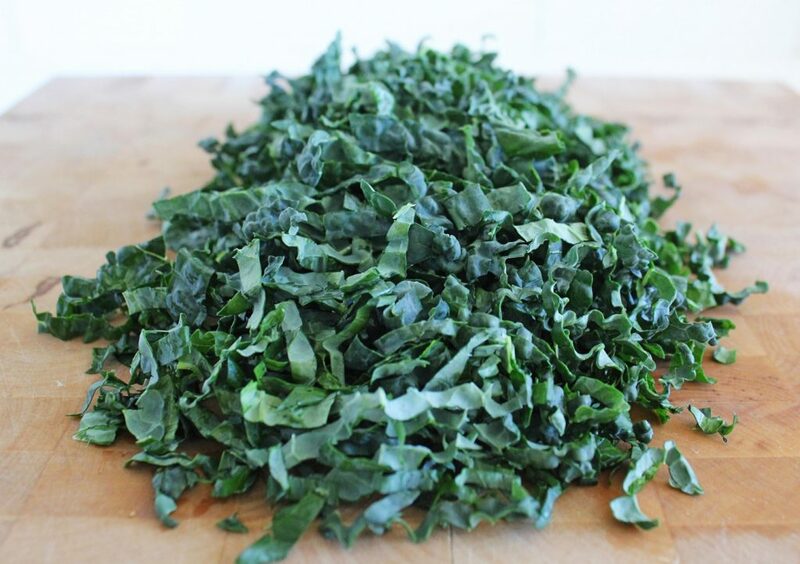 While the mixture is still warm, but with the heat turned off, add the kale and mix until it is softened by the residual heal. Finish with the olive oil, lemon juice and zest. Adjust seasoning. In a pan on med/low heat, sweat the garlic in the coconut oil with a splash of water. 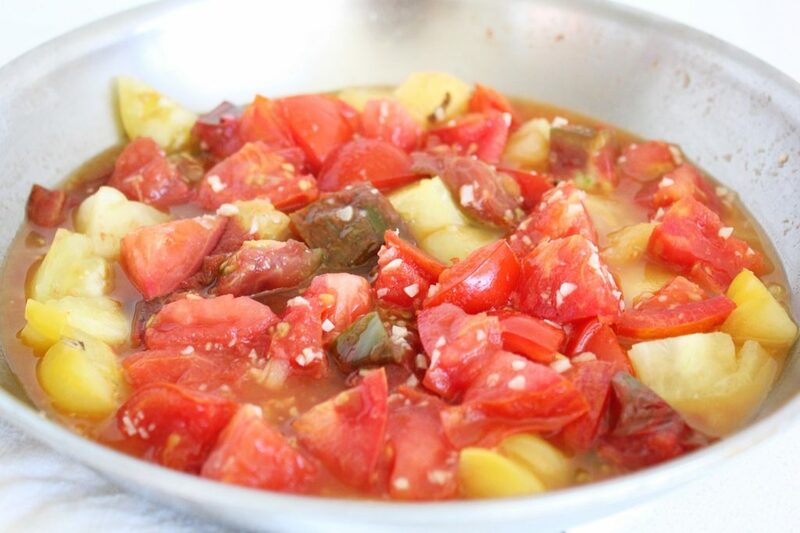 Once aromatic (30-60 seconds), add the diced tomatoes and cook just to heat through (1-2 minutes). Turn the heat off, add the basil, olive oil and adjust seasoning (sea(weed) salt). Scoop a mound of filling in the center of each 'X'. Fold the four 'X' arms over top of the filling, alternating which strip you choose (does this make sense? don't forget there are two strips which turn into four 'arms') this just helps them to hold together better. 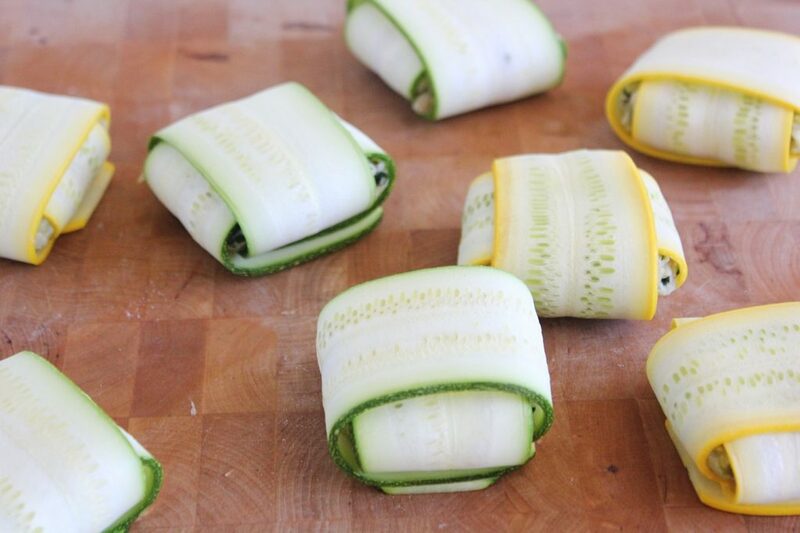 Now, you can work with warm filling, fold them up and leave the zucchini entirely raw (if you season it with a pinch of salt it will soften it a bit) OR you can put the little bundles into the oven (325*F) for a minute or two, until the filling is warm. 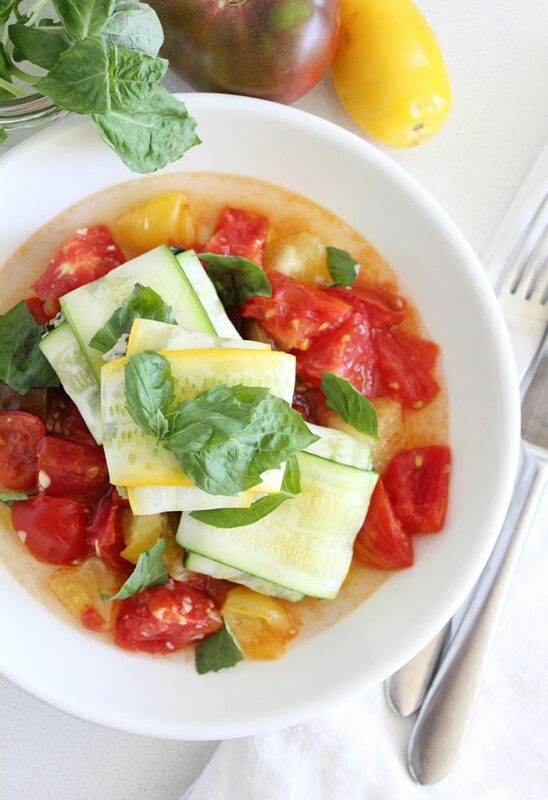 Serve on top of the fresh tomato sauce and finish with more fresh basil and a drizzle of extra virgin olive oil. Has anyone ever told you that you are a genius?? You’re so talented – write a cook book woman! !